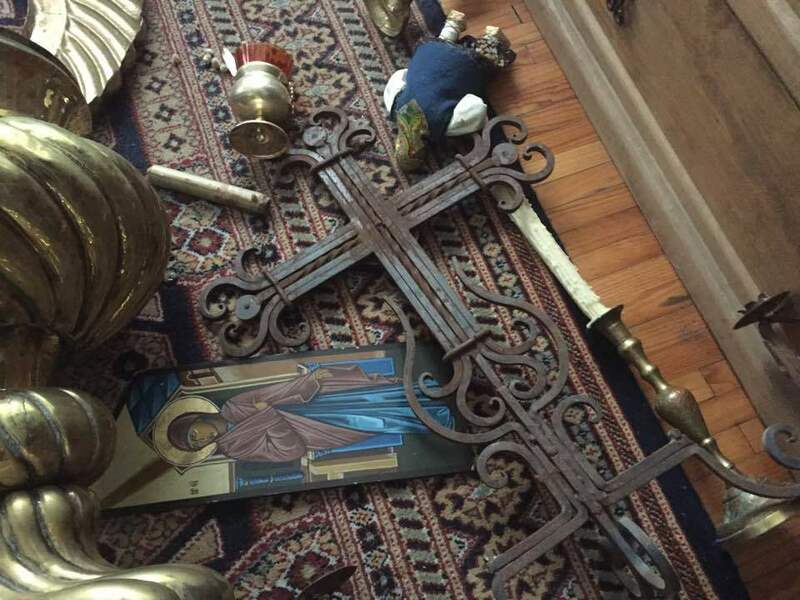 Fund for Assistance to the ROCOR - Mexico monastery: "So much pain and death around us..."
The Orthodox version of the Guadalupe icon painted by the brethren of the monastery. They are praying to Her for your help. Please help our brothers in Mexico! "We have been very busy trying to provide some help to the victims; specially clothes, medicines and our own professional knowledge and skills wherever we can. Tragedies are devastating. So much pain and death around us. There are still some survivors, children and adults under the ruins, waiting to be rescued. But today's rain made things more difficult and risky. 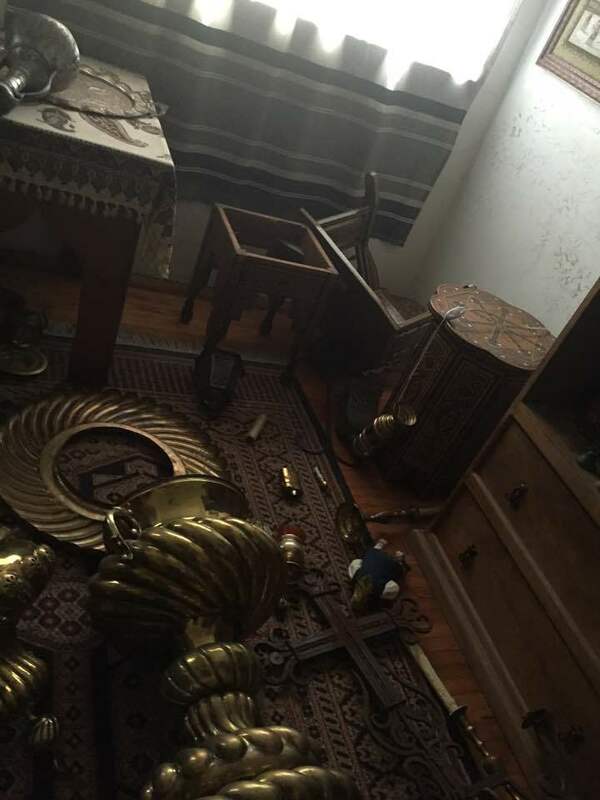 Most people from our Orthodox communities are fine, some little damages here and there, but all of them are in shock !!!" At this moment our Church is taking a huge task with our scarce resources; however we are certain that when we help the needed, God Himself takes care of our own needs !!! We still haven't being able to repair much or bring back much order to our monastery. I can't write or do anything in the office due to be completely broken... i don't even have a computer, nor my lap top anymore. In few hours we will be serving Liturgy for the Feast day of the Birth of the Most Holy Mother of God just for the monks; this will bring us endurance, consolation, and the renewed energy we need, to share with the people; to encourage them to continue forward no matter what. We must always begin the Church Year with this Feast Day to the Mother of God; today most specially to beg for Her protection in this time of deep pain and profound suffering. 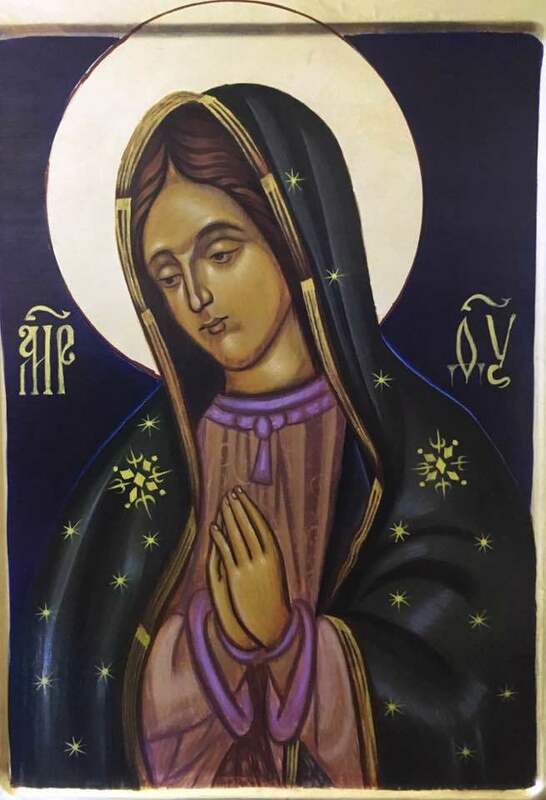 Also enclosed is an icon of the Mexican Catholic image of the Mother of God (of Guadalupe); hand painted and adapted to Orthodox Iconography by ourselves in our monastery. As our Mexican-Orthodox icon "PRAY FOR MEXICO"
May God be Merciful to us all !!! 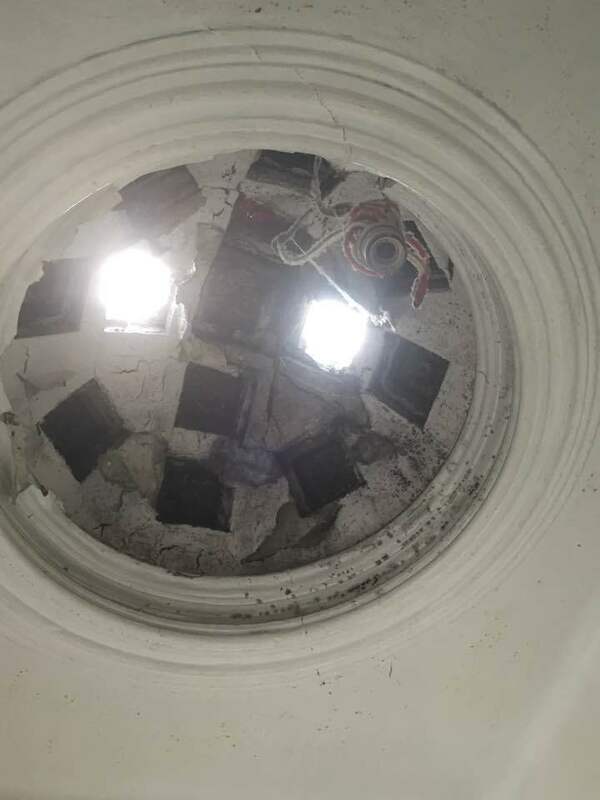 See photos of the damage here.